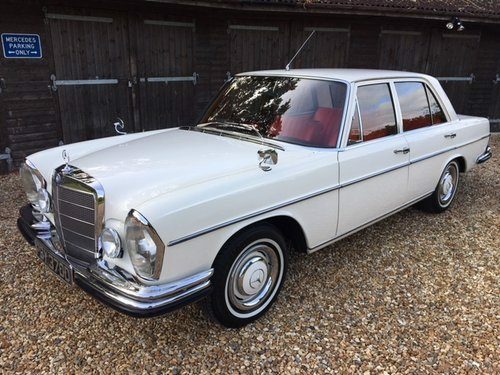 For Sale – 1966 Mercedes 250 SE Saloon ( 108-series ) | Classic Cars HQ. Mercedes 250 SE Saloon ( 108-series ), 1966D, 4-speed auto ( column change ), 46,000 miles, fmbsh, MB white (050), red MB-Tex, original Blaupunkt radio, centre armrest. supplied new by Normands of Mayfair to Mr Victor Matthews of London N13 - the CEO of Trafalgar House and subsequently passed on to his son in 1986 who kept the car until 1996 when it was sold to Mr Christopher Leith of Harpenden. Mr Leith sold the car to Mrs Suresh Fernando in 2005 and we acquired the car from her in 2008. We then sold the car to MB Club member Mr Allan Errington of Rowlands Gill near Newcastle and he kept the car until 2017 when the car was sold to another MB Club member Mr Barry Pope. 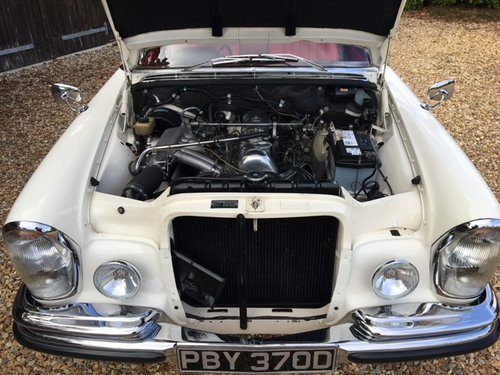 The car is special in that it has its original metal plate with the first owner's details embossed on and we have the owner's manual, stamped original service book, workshop manual, sales brochure, MB warranty from 1966, all MOT's back to 1986 at 24,408 miles, old invoices back to 2008 etc etc. 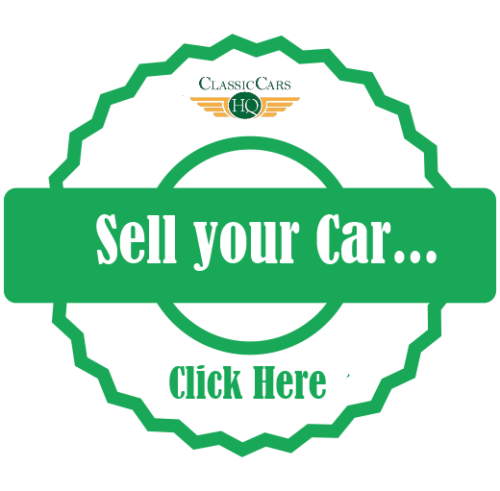 Mechanically the car is A1 and the last 2 owners have invested a great deal of money in keeping the car running in tip top condition. The paintwork is excellent with no corrosion anywhere and the underside is a similar story. 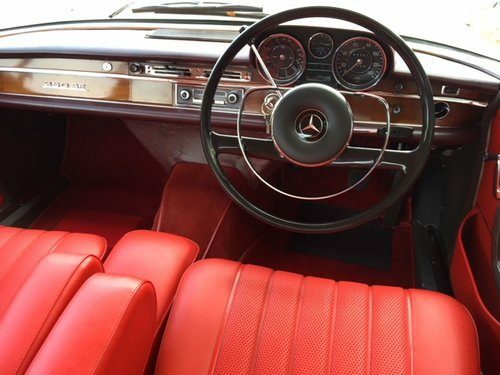 The interior is exceptionally clean and everything on the car works as it should. The car starts and drives perfectly and the provenance of this car is undisputed.